Gov. Jerry Brown signed the state budget June 27. It is good news for Californians because it continues to invest in our future and our people. Gone are the stressful days of late budgets, borrowing, and IOUs. This budget is on time, fiscally prudent, and forward thinking. It bolsters our reserves and restores programs that help Californians who are struggling to make ends meet. We also are adding $2 billion for the rainy-day fund that was proposed by the Assembly and approved by the voters of California in 2014. We will have $8.6 billion set aside to help withstand the economic downturn. 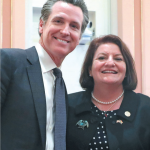 One provision in the Legislature’s budget that wasn’t in the governor’s revised budget in May is a repeal of what’s known as the maximum family grant in the CalWORKS program. This has rightfully received a lot of attention; it punishes children in families struggling in poverty, and I have wanted to eliminate it for some time. Speaking of CalWORKS, its Housing Support Program is near and dear to my heart. I was proud to have spearheaded the effort to launch what is, essentially, a rapid rehousing program for families who are homeless or at risk of becoming homeless. It started with $20 million in 2014 and helped more than 2,000 families. Then it rose to $35 million last year and was expected to help roughly 4,500 families. This year, it increases to $47 million. And speaking of housing, the budget includes the framework for a large investment in affordable housing. It provides $400 million for new affordable housing, as long as the legislature passes a bill that makes it a little easier to develop market-rate housing that includes affordable units and is close to transit. I have been working hard to find a permanent source of funding for affordable housing. I’m thrilled that so many of my colleagues have joined the fight. As my time in the Assembly draws to an end, I can’t help but recall my first year in the Capitol and the $26-billion deficit we faced. Through tough decisions, hard work by the legislature — in conjunction with our very focused governor, Jerry Brown — and with the support of the public, we’ve turned the corner and put California back on solid ground. It has been an eye-opening experience with both highs and lows — always keeping in mind the impact on you, my constituents. To be the first San Diegan to serve as Speaker of the California Assembly was an incredible honor. It gave me a unique opportunity to work with the governor and the Senate leader to shape the budget for this great state and the nearly 40 million people who call it home. I assure you, I will continue to use the experience I’ve gained to help create and support a sustainable budget for our city, our state, and my constituents. Around the District: Stand Down, which offers a full range of services for homeless veterans, takes place from July 22-24. We’ve had a tremendous response so far. Thank you! … Looking forward to spending more time in the district in July for our summer legislative recess. I plan to attend San Diego Pride and several community meetings to offer my update on what we’re working on in the state Assembly. 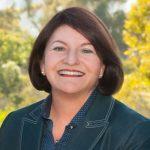 —Toni G. Atkins is the Speaker of the California State Assembly. 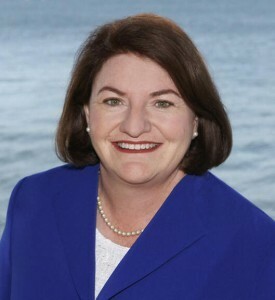 For more information, please visit her website, asmdc.org/speaker where you can sign up for her e-newsletter or get the latest news on legislation and other activities. 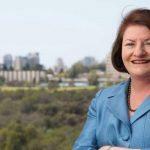 You also may follow her on Twitter, @toniatkins.